Large apartment of 94m2 on the third floor of a recently developed building (2008) with lift for sale in Garrucha, Almería, Andalusia. It is located 250m from the beach and the promenade and main street with plenty of shops, restaurants, bars, supermarkets and all the services that you need. The apartment has been converted from a 3 bedrooom flat to 2 spacious double bedrooms with 2 bathrooms, one ensuite and one with a shower. The living room has 2 french windows that access a south facing terrace (6m2) with sea views between buildings. The kitchen is fully fitted and equipped, separated from the living room and with a utility room attached. There is centralised AC (hot and cold) throughout the apartment, ceiling fans in the bedrooms and lounge, aluminium double glazed windows and an electronic entry system. The apartment is being sold furnished including the white goods. 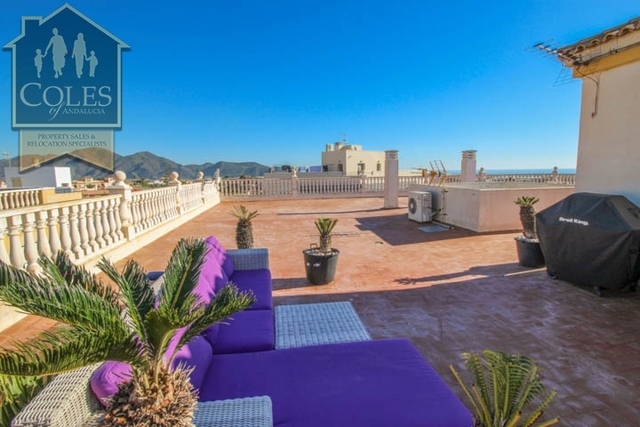 There is a fantastic communal roof terrace with 360º views of the sea and Garrucha which is accessed via the lift or stairs. 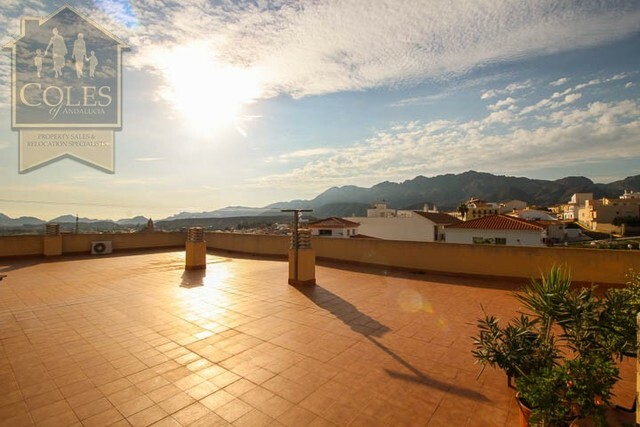 The property is ready to move into and would suit all year round living or holiday rentals. There is the possibility of also buying a parking space. Garrucha is a bustling town right on the Mediterranean coast with a working port and tourists that stay there particularly in the summer months. The apartment is walking distance to a large supermarket, lots of shops and restaurants and bars as well as to the beach. The other towns of Mojácar, Vera and Turre are within 10 minutes drive and there are local buses connecting one town to another. Garrucha claims to be the ‘Seafood capital of the Costa Almeria’. Fishing is the area’s main industry and main source of income, the town’s extended port is used for both commercial and leisure pursuits and visitors can watch the fisherman off load their catch after a day at sea. Garrucha has wide sandy beaches, stretching as far as the eye can see, perfect for sunbathing, playing sports or just strolling on. The beach in town is a blue flag beach, the only town beach in Europe to be awarded the prestigious blue flag. Almería enjoys a sunny climate with 320 days a year of glorious sunshine.